Multivariate time-series early classification is an emerging topic in data mining fields with wide applications like biomedicine, finance, manufacturing, etc. Despite of some recent studies on this topic that delivered promising developments, few relevant works can provide good interpretability. In this work, we consider simultaneously the important issues of model performance, earliness, and interpretability to propose a deep-learning framework based on the attention mechanism for multivariate time-series early classification. In the proposed model, we used a deep-learning method to extract the features among multiple variables and capture the temporal relation that exists in multivariate time-series data. Additionally, the proposed method uses the attention mechanism to identify the critical segments related to model performance, providing a base to facilitate the better understanding of the model for further decision making. We conducted experiments on three real datasets and compared with several alternatives. 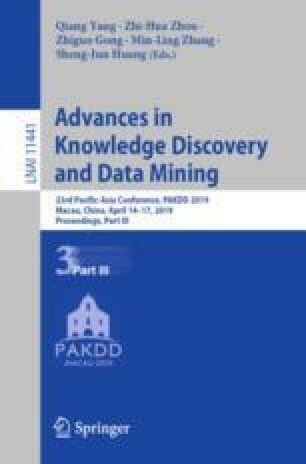 While the proposed method can achieve comparable performance results and earliness compared to other alternatives, more importantly, it can provide interpretability by highlighting the important parts of the original data, rendering it easier for users to understand how the prediction is induced from the data. This research was partially supported by Ministry of Science and Technology, Taiwan, under grant no. 107-2218-E-009-005 and 107-2218-E-009-050.